A group of Silicon Valley companies including Facebook, Google, Dell, HP, eBay and others are petitioning a federal appeals court to review its decision ordering Samsung to turn over profits from a handful of Apple patent infringements. Samsung was found guilty of infringing upon three Apple design patents and ordered to pay damages based on profits gained from infringing features. In a ‘friend of the court’ brief filed with the U.S. Court of Appeals for the Federal Circuit on July 1, the Silicon Valley companies argue that upholding the ruling would lead to stifled innovation and limit consumer choice across the tech sector. “If allowed to stand, that decision will lead to absurd results and have a devastating impact on companies, including [the briefing draftees], who spend billions of dollars annually on research and development for complex technologies and their components,” the group wrote in its brief to the court. According to the petition, modern technology such as that used in smartphones, which are made up of thousands of individual components, is too complex to award profits based on individual component infringements. The companies argue that if the use of any of these components could be the basis for a lawsuit, then any company could be opened up to patent infringement cases for insignificant features. "That feature—a result of a few lines out of millions of code—may appear only during a particular use of the product, on one screen display among hundreds. But the panel's decision could allow the owner of the design patent to receive all profits generated by the product or platform, even if the infringing element was largely insignificant to the user," the brief states. In May this year, the U.S. Court of Appeals for the Federal Circuit in Washington D.C reduced the damages to be paid by Samsung to Apple from $930 million to $548 million. 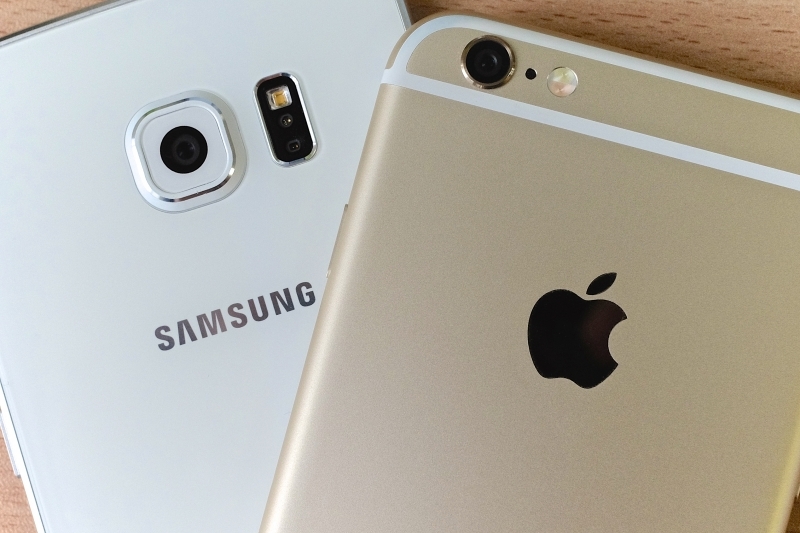 The court found Samsung had violated Apple’s design patents, but not its trade dress. Last month, the South Korean company asked the court to review its decision, and it will likely be hoping support from the Silicon Valley tech giants will lead to a rehearing.